Now for the ‘forgotten’ commandment! In many ways this is the Key to the entire Ten Commadments, and your relationship with the Father. It is the Middle Commandment (this will be explained later in this series). Do you think that the Sabbath is Sunday? Do you think it matters? Let’s test the scriptures and see if the 4th commandment is changed, fulfilled or moot. Here is part Four in the series looking at the Ten Commandments using the Hebrew Aleph-Bet and numbers. Dalet is interpreted as a DOOR and also the number FOUR. The number 4 symbolizes the earth, creation, and the world. It is easy to remember because we have four winds, four corners of the earth, the four seasons, four phases of the moon, etc. WHEN WAS THE SABBATH ESTABLISHED? Our Father took great pains to be sure we understood why this is important. The fourth commandment is the longest of all the commandments. And the only one He explains His reasons for making it! The Sabbath was established on the 7th day of Creation! 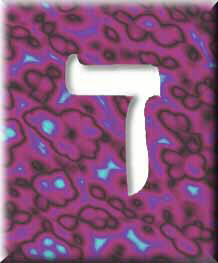 This 7th day-of-rest (7 is the symbol of completion) is defined, sanctified, and set-apart by YHVH! The fourth commandment tells us to Remember! He sanctified it and made it holy! Once He has declared something Sanctified and Holy can He change that? This is a most profound commandment that many disregard or relegate to the ‘done away with or changed’ column! But is that true? It is the First designated ‘holy’ day! It is the weekly observance of an ‘appointed time.’ Could it be that this is the entrance to the rest of His appointed Times and Feasts? Is Shabbat (Sabbath) the Door (narrow gate) that leads to His rest? It always has been the 7th Day of the week. There is no dispute on which day of the week is YHVH’s Sabbath. YESHUA IS OUR SABBATH REST! So, right here we have two connectors to the 4th commandment. He’s the Door and Lord of the Sabbath! Kind of makes you think, doesn’t it? So many of us who grew up in Christianity got to the Door (Yeshua…we probably called him Jesus then), but never moved past the threshold. 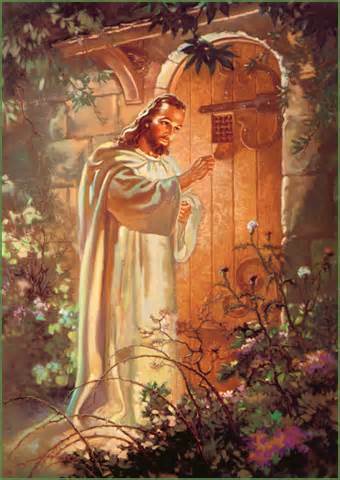 Now that you know that the 4th commandment is the door, and the Door is the Sabbath, will you answer? ISN’T THIS JUST A COINCIDENCE? This kind of looks like a cute little parlor trick, doesn’t it? I mean, come on. Dalet means Door so we leap to conclude that the 4th commandment is the ‘door?’ It sounds good, but I’m not convinced. If there is one thing I have learned as I study the Scriptures from a Hebraic perspective it is this: there are no idle words or coincidences in the Word of YHVH. Occasionally there will be translation errors or misunderstanding because the idioms used are confusing from a 21st century, ‘Greek,’ mindset. But there are treasures hidden in the Word that No One except the Creator could have achieved! Just the fulfillment of prophecies concerning the Messiah when he walked with the apostles is beyond anything a man or computer could do! So when I see connections between Hebrew Letters and the Scripture I sit up and take notice! The first time I recognized that the 4th commandment was Dalet in Hebrew it was amazing! It made a whole bunch of scriptures come to mind! It verified to me why Shabbat was such a blessing! We decided to observe the Sabbath, just because it was a commandment! We didn’t understand why it made our weekends seem like a 3-day-long vacation, but it did! We decided to ‘rest’ on His Sabbath and the blessings were immediate! Where will you meet Him if you don’t answer the Door? BUT, I ANSWERED THAT KNOCK LONG AGO! He knocked, I believed! End of story! Back to the picture: Is the door the door to our heart? Does it relate to the Tabernacle? I thought we were living tabernacles now? “ There was only one gate by which people could enter into the tabernacle courtyard. The gate was 30 feet wide. It was located directly in the center of the outer court on the east end. The gate was covered by a curtain or screen made of finely twisted linen in blue, purple and scarlet. Confused now? Is the Door Yeshua? Is the Gate Yeshua? What is being taught here, and what does it have to do with the Sabbath? DIDN’T HE OPEN THE DOOR FOR US? What about that picture that is posted above? He does knock. That’s what prompted you to seek Him in the first place. You are the one that has to open the door and let Him in. He is a gentleman. He will not barge in where he is not invited. What better day to invite Him in to visit than on the Sabbath? He has it on His appointment book! If the Sabbath Day truly is a portal (door) to Him, why would we not want to test that? What do you have to lose except your perception of what belief and obedience really means? BUT ISN’T THE DOOR OPEN NOW? Yes! I believe in an open door. He is welcoming all who trust and believe in His promise of eternal life! It was demonstrated at the Temple! When we invite Him in, He does come in! But, how do we know that we know him? How do we keep Him there? One of the saddest stories in the Scriptures is when it describes the Shekinah Glory leaving the Holy Place! Could that happen to us? 1Jn_2:3 And hereby we do know that we know him, if we keep his commandments. He is a gentleman! He will come in, but it is up to us to make Him feel welcome! He won’t stay where He is not wanted and honored. Would you? The ‘door’ between the Holy place and the Most Holy Place in the Tabernacle was a veil. Only the High Priest could enter through that door, and then only on one day a year – on Yom Kippur! This is the veil that was ripped from top to bottom at the crucifixion! The Veil to the Holy of Holies was ‘replaced’ by Yeshua when He became our High Priest forever. [read: http://www.bulldozerfaith.com/who-is-your-high-priest] He is our access to the Father! Rev_3:7 “To the messenger of the church in Philadelphia, write: ‘The one who is holy, who is true, who has the key of David, who opens a door that no one can shut, and who shuts a door that no one can open, ‘says this: 8 ‘I know what you’ve been doing. Look! I have put in front of you an open door that no one can shut. You have only a little strength, but you have obeyed my word and have not denied my name. What a beautiful picture of the Messiah! An Open Door! Eph 2:13 But now, in union with the Messiah Yeshua, you who once were far away have been brought near by the blood of the Messiah. 14 For it is he who is our peace. Through his mortality he made both groups one by tearing down the wall of hostility that divided them. WHAT HAS ALL THIS TO DO WITH SABBATH? He said He would be with us always, not just on the Sabbath! Yes! Of course, that is true! But, He commanded us to meet him on his set-apart day. Why would I want to miss an appointment with my Savior? Why do you think He hates idolatry, adultery, and murder? They all get their own ‘Thou shalt not’ commandment! Isn’t it ironic that the easiest one to do and observe is the one we have dug our heels in to change or abolish? All He asks is that we REST in HIM on HIS sanctified and holy day! We are all ready to give our tithe of money, but we balk at taking one 24 hour period each week to Rest and set the ‘world’ aside to spend time with Him! What is wrong with this picture? He must have a good reason to call it a special day of rest. He is there, standing at the door and knocking! Why won’t we answer the door? He’s made it a day of rest so we can concentrate on Him! He has it in His appointment book! I hear everyone talk about how their faith is a “relationship,” but how many are nurturing that relationship with Him? Is it really too difficult to keep the Sabbath? He tells us to remember it! When we observe the 7th day, we proclaim that He is the Creator that fashioned the world and all that is in it in six days! It doesn’t fit in with our ‘evolved’ mind-set, does it? Could it be that He knew we would forget that He is the Creator of the Universe? Many of the things we are asked to do are to illustrate Him (we are commanded to lift Him up! : see 3rd commandment). When we trivialize or change his instructions and shadow-pictures we mess up what He is trying to show us. In fact, we drop the ball when we fail to demonstrate our belief to others! Deu 4:1 Now therefore hearken, O Israel, unto the statutes and unto the judgments, which I teach you, for to do them, that ye may live, and go in and possess the land which YHVH God of your fathers giveth you. Deu 4:2 Ye shall not add unto the word which I command you, neither shall ye diminish ought from it, that ye may keep the commandments of YHVH your God which I command you. BUT, THAT’S ONLY FOR ISRAEL! This seems like the right place to make another clarification. Some read the above verses from Deuteronomy and think that it only applies to Israel. Who is ‘Israel?’ Is it only the Jews? Where do we get the name ‘Jews?’ It comes from the Tribe of Judah, and others of the twelve tribes who lived in Judea. Get it? Judah, Judea! They were the ones who remained in the Southern Kingdom when the Twelve Tribes split. They are the ones who maintained the oracles of YHVH. And only they returned from exile to the Land. The rest of the Israelites were scattered and assimilated into the nations! But, all twelve tribes were present in the wilderness with Moses! Still not convinced? I used to think I was a Gentile too. It actually means someone of the ‘nations.’ If you read your Scriptures, you’ll notice that the ‘nations’ are not exactly the best people with which to identify yourself. Look to see who receive the covenant promises! Most covenants are only made with Judah or Israel! Who will be his people when He returns? There is no ‘Gentile’ gate to the New Jerusalem. There is only Israel (not the nation, but the People). The Tribes of Judah and the Lost Tribes (i.e. together they are Israel) will be all together as one. (see http://www.bulldozerfaith.com/the-lost-sheep). We are to be One New Man, as written in the second chapter of Ephesians. Eph 2:1 You used to be dead because of your offenses and sins, 2 that you once practiced as you lived according to the ways of this present world and according to the ruler of the power of the air, the spirit that is now active in those who are disobedient. Eph 2:12 At that time you were without the Messiah, excluded from citizenship in Israel, and strangers to the covenants of promise. You had no hope and were in the world without God. Eph 2:14 For it is he who is our peace. Through his mortality he made both groups one by tearing down the wall of hostility that divided them. 15 He rendered the Law* inoperative, along with its commandments and regulations, thus creating in himself one new humanity from the two, thereby making peace, 16 and reconciling both groups to God in one body through the cross, on which he eliminated the hostility. There was an actual physical barrier of separation between the two peoples in the Temple. As Peter reveals in Acts 10, Jews regarded Gentiles as ‘unclean’ and refused to associate with them. Paul is speaking of the ‘ways of this present world.’ In other words, at the time Paul wrote Ephesians, there was much hostility between the Jews and the Gentiles. Everyone had drifted from His commandments and implemented man-made doctrine. Man-made doctrine is what Paul describes as influenced by the spirit of ‘the air!’ (i.e. : Satan). Read more of what Paul has to say in Colossians 2:20, and 3:7-17! He makes it clear that Yeshua is what unifies us all into one new man! And the ‘change’ in the law refers to Yeshua becoming our High Priest! Eph 2:16 Together as one body, Christ reconciled both groups to God by means of his death on the cross, and our hostility toward each other was put to death. There is a symbol you may have seen in Messianic congregations. 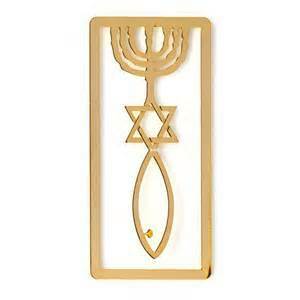 It is the ‘one new man’ symbol, and I have found it to be a good conversation starter, and a way to explain with easily understood symbols what the concept of Jew and Gentile coming together as one is all about. The Star of David (Our Heart). The Star of David is the symbol of Israel, the Keepers of the Oracles of God (the Torah and the Mitzvot). They are to be written on our heart. So, to summarize the One New Man: He it is who honors Yeshua as his Head and High Priest, who has the Torah written on his heart, and who walks by the power of His Holy Spirit. Just as Yeshua also walked! Even as Abraham walked! HOW SERIOUS IS THIS SABBATH DAY OBSERVATION? It is important to note that Moses was prevented from entering the Promised Land because he changed the instructions he was given by ‘striking the rock’ at Horeb instead of ‘speaking’ to the rock. He destroyed the shadow-picture that was to be established there and was punished. He is still saved, but he was not rewarded for his disobedience. If Moses, who spoke face to face with YHVH, was punished for changing or disregarding His Word, perhaps we need to take things a little more seriously too! We are repeatedly admonished not to ‘add to’ or ‘take away from’ the Word of YHVH. It is important! The primary way we may be identified as the followers of YHVH hinges on our observation of the times He established! Of all the Feast days he commanded us to observe, the Sabbath has been paramount from the beginning of creation. Why not do a search for all the mentions of Sabbath in the Bible? We are admonished to pay particular attention to things that are repeated in Scripture. If that is the case, then our understanding and regard for this set-apart and holy day needs much more attention! In the case of the Sabbath day switch to Sunday, both the Time and the Law has been changed by man’s decree! “The times” is the Hebrew word mo’ed (H4150), i.e, “The Feasts of Yahweh” from Way yiqra (Leviticus) 23. Strong’s H4150 ~ From H3259; properly an appointment, that is, a fixed time or season; specifically a festival; conventionally a year; by implication, an assembly (as convened for a definite purpose); technically the congregation; by extension, the place of meeting; also a signal (as appointed beforehand): – appointed (sign, time), (place of, solemn) assembly, congregation, (set, solemn) feast, (appointed, due) season, solemn (-ity), synagogue, (set) time (appointed). WHO CHANGED THE SABBATH TO SUN-DAY? Lev 23:1 YHVH spoke to Moses, 2 Tell the Israelis, “These are my feast times appointed by YHVH that you are to declare as sacred assemblies. 3 Six days you may work, but the seventh day is a Sabbath of rest, a sacred assembly. You are not to do any work. It’s a Sabbath to YHVH wherever you live. 4 These are the YHVH’s appointed feasts, sacred assemblies that you are to declare at their appointed time. “…Sunday…is purely a creation of the Catholic Church.”American Catholic Quarterly Review, January 1883. “They [the Protestants] deem it their duty to keep the Sunday holy. Why? Because the Catholic Church tells them to do so. They have no other reason…The observance of Sunday thus comes to be an ecclesiastical law entirely distinct from the divine law of Sabbath observance…The author of the Sunday law…is the Catholic Church.” Ecclesiastical Review, February 1914. “Sunday…is the law of the Catholic Church alone…” American Sentinel (Catholic), June 1893. The Gregorian calendar is still in use today. It was instituted by Pope Gregory XIII (hence the name) on 24 February 1582 by papal bull Intergravissimas. This man-designed calendar replaced the Feasts of YHVH (see Leviticus 23) with what the ‘church’ follows today. Protestants may have left the auspices of the Roman Catholic Church as a protest against some of the dictates of the Papacy, but they carried away the calendar changes all the same. It is documented how the Roman Catholic Church has changed both Times (Sabbath/Feasts) and Law. Don’t we consider the Ten Commandments to be the Law? A Law written by the finger of YHVH himself! Of all the Ten Commandments, only the 4th one embodies both of these aspects: Time and Law. IS THAT CHANGING THE LAW? My question for you is this: if man changes the times, seasons, days and years instituted by our Creator, do you think YHVH will go along with our ideas? Or will we be surprised when He completes all He wishes on His own calendar? We wouldn’t think of ignoring an appointment scheduled with our employer! How much more carefully should we consider His appointed times with us? I believe His calendar is eternal, and not subject to man. His appointed times (which are all prophetic shadow-pictures of the Messiah and real past and future events!) and His Law is eternal. And He is the one who set and keeps His appointments! Another reason we observe Shabbat and all of his appointed Feasts is to proclaim who is the Father that we serve! Our action in observing His times and seasons is a sign to everyone! Do you know who you serve? Ezekiel got it! To paraphrase: We Do so that we will Know! It is for our own benefit! The bonus is that others will observe us remembering His set-apart day and they will know who it is we serve too! Don’t we all want to enter into the Kingdom someday? If we truly understand that Shabbat is the door that was established from the beginning, we would never think to disregard it again! It is a commanded appointment with our Savior and King! He knew that we would need the Door. That Door is found in the Sabbath and in His Son, Yeshua! Let’s open the door and enter into His Rest on His Day! Shabbat Shalom! Please give me a simple explanation of what these scriptures mean in terms of the Sabbath for those coming to Christ. Thanks for your questions. The simple answer is that the Torah is forever. There are many scriptures that testify to that. Compare Psalms 119 and Yeshua’s statement: I am the Way, the Truth and the Life. Also, look at John 1. Yeshua said not one jot or tittle would go away from the Torah until ALL was fulfilled. He also said until Heaven and Earth pass away his Words would stand. If we have an eternal Father, who gave us the Torah ‘from the beginning’ and that WORD became flesh and dwelt among us, why are we so quick to believe that Yeshua came to overturn the Torah? He Did come to overturn the Takanot of the Pharisees, but that is different than the instructions given to us by YHVH. Yeshua came to return us to the pure Torah, and to reconcile the ‘lost sheep’ back into His fold. It is interesting to note that there is an ELS (Equi-distant Letter Sequence) ‘code’ in the first 5 books of the Bible. Genesis and Exodus have TORAH encoded, Numbers and Deuteronomy have Torah spelled backwards (HAROT) in an equi-distant letter sequence (Hebrew) in the texts. The Book of Leviticus (where the other four books ‘point’ has a similar code of equi-distant letters, but in the Book of Leviticus, that is where YHVH has chosen to inscribe His Name (YHVH)! To me, that says that the Book of Leviticus is important! He put his ‘signature’ on it! I grew up in a Christian church, so I was used to looking at the Scriptures from a ‘New Testament’ point of view. When we do that, everything that we do and practice now seems to be correct, and we twist what we read to conform to that paradigm. If we take the Scriptures back to the beginning (Old Testament: the scrolls that Yeshua read from and that were the only Words of YHVH in the time of Yeshua and the Apostles/Disciples), we can finally come to understand His Instructions in the proper order and context. We are admonished to worship the Father in spirit and in truth. What does that mean to you? About 85% of the New Testament is a re-statement of Old Testament writings. Nowhere is there a passage in the New Testament that says the Torah has been done away with. Even if we take the writings of Paul, Luke, and Peter and twist them away from a Torah-observant attitude, Yeshua NEVER taught against the words of His Father. Yeshua said, “If you love me, keep my commandments” and “Think not that I came to destroy the law, I came to make it understandable.” He was the walking-talking Torah! He observed all of the Feasts, went to the synagogue on Sabbath to Read the Law and the Prophets, followed all the dietary instructions, and demonstrated in action how to walk in the Spirit of the Torah. I will address your questions point by point. I apologize if this is longer than you expect, as I want to be thorough. I hope I can clarify for you. The Colossians, former pagans (gentiles/those of the nations), who turned to the GOD of Abraham, Isaac and Jacob and accepted Yeshua as the Messiah were new to Torah observance. They had their own festivals and ‘holy’ days which they had once observed. When they began to follow the Way, they came under fire from those who knew them as pagans. They were being criticized for observing the Sabbaths, new moons, and following the dietary restrictions ordained by YHVH. The admonition is to stand strong and let no one sway them from observing these commands because they (the Feasts of YHVH, Sabbath and Dietary restrictions) are a SHADOW of the Messiah. The very fact of them choosing to observe these instructions identified them as followers of the Creator, YHVH. Only fellow-brothers have the right and responsibility to tell them anything in this regard; not those who do not understand or follow Torah. Rom 14:6 The one who observes a special day, observes it to honor the Lord. The one who eats, eats to honor the Lord, since he gives thanks to God. And the one who does not eat, refrains from eating to honor the Lord; yet he, too, gives thanks to God. Rom 14:7 For none of us lives for himself, and no one dies for himself. Rom 14:8 If we live, we live to honor the Lord; and if we die, we die to honor the Lord. So whether we live or die, we belong to the Lord. Rom 14:9 For this reason the Messiah died and returned to life, so that he might become the Lord of both the dead and the living. Chapter 14 in Romans is speaking about extra-Torah fast days. Days of Fasting are not a command of YHVH (other than Yom Kippur), but were observed by many Jews to commemorate historical events that affected the nation of Israel. (the 9th of Av for example). It is not wrong to choose to do a fast, but neither is it a commandment. Therefore, it is left to the individual how to render honor and thanks to the Father in this regard. Rom 7:4 In the same way, my brothers, through the Messiah’s body you also died as far as the Law is concerned, so that you may belong to another person, the one who was raised from the dead, and may bear fruit for God. Rom 7:5 For while we were living according to our human nature, sinful passions were at work in our bodies by means of the Law, to bear fruit resulting in death. Rom 7:6 But now we have been released from the Law by dying to what enslaved us, so that we may serve in the new life of the Spirit, not under the old writings. Most of the ‘instructions’ that were burdens to the Jews of Yeshua’s time on earth were added to the Torah. The Pharisees and Scribes made up extra-Biblical rules and regulations called Takanot. We are admonished in the Torah not to add to or take away from the Torah of YHVH. Adding restrictions that exceed those of the Father add restrictions ‘difficult to bear’ to the followers. These Takanot laws of the religious leaders (some might say the religious police) removed the joy of following Torah and placed Legalism into the picture. Look up Takanot and you will find that many of the things Yeshua did (like making mud with his spit or ‘winnowing’ grain when he walked with the disciples) are NOT against the Torah, but Were against the Oral Law (Takanot) of the Scribes and Pharisees. In simple terms, we are to follow GOD not Man. An example of Phariseeism today might be the ERUV which was instituted as an adjunct to instructions that do not spring from the Torah at all. 2Co 3:1 Are we beginning to recommend ourselves again? Unlike some people, we do not need letters of recommendation to you or from you, do we? 2Co 3:2 You are our letter, written in our hearts and known and read by everyone. 2Co 3:3 You are demonstrating that you are the Messiah’s letter, produced by our service, written not with ink but with the Spirit of the living God, not on tablets of stone but on tablets of human hearts. 2Co 3:4 Such is the confidence that we have in God through the Messiah. 2Co 3:6 who has also qualified us to be ministers of a new covenant, which is not written but spiritual, because the written text brings death, but the Spirit gives life. 2Co 3:8 will not the Spirit’s ministry have even more glory? 2Co 3:9 For if the ministry of condemnation has glory, then the ministry of justification has an overwhelming glory. 2Co 3:10 In fact, that which once had glory lost its glory, because the other glory surpassed it. 2Co 3:11 For if that which fades away came through glory, how much more does that which is permanent have glory? 2Co 3:13 not like Moses, who kept covering his face with a veil to keep the people of Israel from gazing at the end of what was fading away. 2Co 3:14 However, their minds were hardened, for to this day the same veil is still there when they read the old covenant. Only in union with the Messiah is that veil removed. 2Co 3:15 Yet even to this day, when Moses is read, a veil covers their hearts. 2Co 3:16 But whenever a person turns to the Lord, the veil is removed. 2Co 3:17 Now the Lord is the Spirit, and where the Lord’s Spirit is, there is freedom. 2Co 3:18 As all of us reflect the glory of the Lord with unveiled faces, we are becoming more like him with ever-increasing glory by the Lord’s Spirit. Second Corinthians covers a l do with our High Priest and understanding the Veil. The Two Veils at Wildbranch.org. It is in his Lesson section. That is an excellent article Julia.